It's impossible to tally up a final score for this but that was never the point - as usual, the point is to help different users pick out the phone that's right for them. 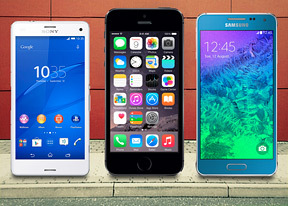 The super mini playground is not as empty as it once was and these three phones are excellent picks at three different price points. The Sony Xperia Z3 Compact is the most affordable of the bunch so it celebrates each of its victories a little louder than the other two. The Apple iPhone 6 meanwhile is easily the most expensive one and has the most to prove, yet its fans are rarely swayed by such mundane details such as pricing. The Sony Xperia Z3 Compact lives up to its name by being the smallest of the three, but it also has the smallest screen for apps (on-screen buttons don't help). Sunlight legibility and viewing angles are not a strong suit either. A waterproof body and a stunning battery life are practically super powers for the Sony and it offered the best connectivity package overall. In terms of interface, it offered little over stock Android but the multimedia package is excellent. The front-facing stereo speakers are another trump card over the other two contenders. The still camera is very good - though not in first place as its 20.7MP resolution would suggest - and video recording is on par as well. The Xperia Z3 Compact performs especially well in the dark, though Sony really needs to work on the HDR and panorama software. 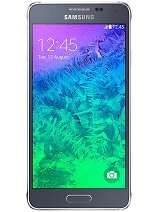 The Samsung Galaxy Alpha is a U-turn for a company where features are king, design left well in the background. No, it's not the prettiest device on Earth but it feels more premium than most Galaxy's (costs more, too) and has a very good screen, with excellent contrast and sunlight legibility. Connectivity and battery life are not as good as they could have been, but the software is loaded with the most features, including a very rich multimedia package. Despite of its size and small battery, the Galaxy Alpha is one of the best performing Androids out there thanks to Samsung's bespoke Exynos 5430 chipset (though some regions will only get the Snapdragon 801 version). The camera is Galaxy Alpha's chance to shine and it takes it, for the most part. The still and video camera are excellent in good light and additional features like HDR and panorama perform great too. Shooting in the dark causes headaches for the Alpha though and that 120fps mode was just embarrassing. Apple sure knows how to build a gorgeous device and it has perfected the LCD - excellent image and high sunlight legibility. Connectivity is top notch too, if you're okay with buying pricy accessories that only work with Apple products. 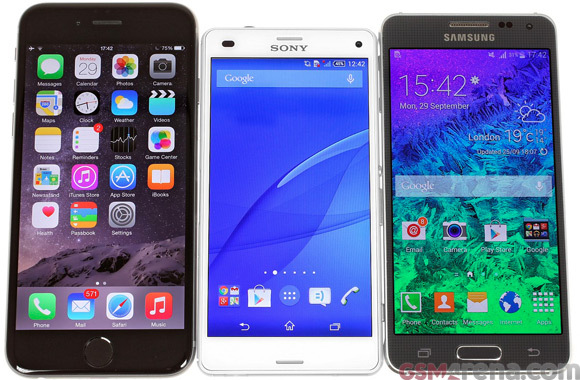 Battery life is better than the Galaxy Alpha but still nowhere near the Xperia Z3 Compact. The software has improved by leaps and bounds in the last two versions of the OS. Android is still more open but iOS 8 will handle every need casual users and moderate tech-heads have with third-party keyboards, widgets and system menus that make non-Apple apps feel welcome. The camera is getting long in the tooth, an 8MP sensor and 1080p video with mono sound are a hard pill to swallow yet another year. But what Apple touched from the last generation turned to gold - panoramas look amazing, the phase detection autofocus really improves focusing speed and high framerate videos are great, especially at 240fps. Still photos and 1080p@30fps videos shot in broad daylight are no better than ones taken with the iPhone 5s, which isn't what you want to hear when considering a pricy upgrade with a possible two-year commitment. 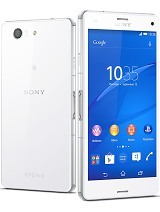 The Sony Xperia Z3 Compact is a marvelous little handset for its price tag. It's worth considering over flagships if you have large screen fatigue and it requires the least amount of micromanagement, regarding remembering to keep it charged and making sure it doesn't get wet. The camera is good in general, better than average in the dark, and the Snapdragon 801 offers a familiar zippy performance. Samsung is charging a premium on its premium device, the Galaxy Alpha is more expensive than the better-equipped Galaxy S5 flagship. And it delivers on the performance and camera fronts, though we would have loved an IP rating and a microSD card slot, which the S5 has. 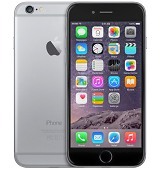 The Apple iPhone 6 gradually improves on its predecessor to remain one of the best devices out there. The price tag stings - it's €150 more expensive than the Galaxy Alpha and that's for the compromise 16GB version (keep in mind that even a mere OTA OS update can require up to 5GB free). There will always be people who specifically want an iPhone so we reckon this comparison would be worthless to them except for the chapters where the iPhone wins. Android on the other hand doesn't exactly promote brand loyalty. We've come to think of the two platforms as polar opposites but this is probably the first time they're showing so much respect for each other. OK, perhaps a little too strong a statement. But they've done each other a favor and they know it. Compact droids wouldn't have come this far without the iPhone. And Apple - well, they had to step out of their comfort zone sooner or later.